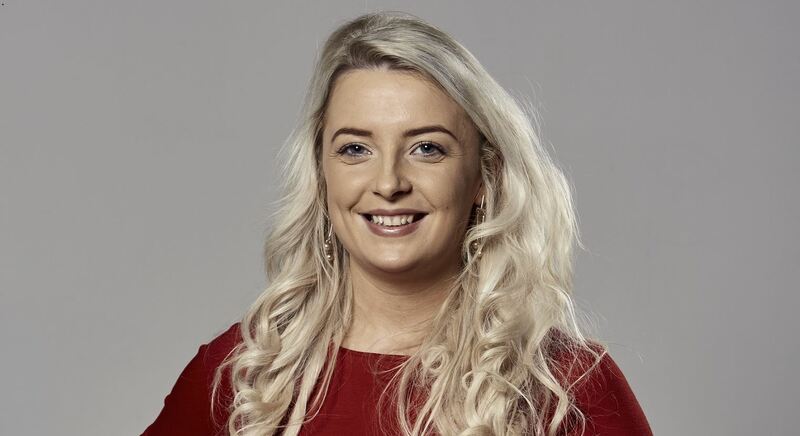 Queen’s graduate Victoria Cartmill, who is Assistant Product Development Manager at UMI Foods in Armagh, has been included in the Class of 2017 ‘Top New Talent’ awards, organised by The Grocer to recognise the brightest and best in the UK grocery and food service sector. Victoria, who graduated with a BSc in Food Quality Safety and Nutrition with Professional Studies in 2015 and who is currently undertaking an MSc in Agricultural and Food Products Processing, collected her prestigious award at an exclusive industry drinks reception held at The Royal Society of Arts in London earlier this month (13.11.17). Victoria’s citation for the award highlighted her ‘fantastic work ethic’, extensive ‘knowledge of the industry’, her ‘collaborative approach, tenacity, and organisation skills’ and her ‘infectious energy and inspiring passion’. The ‘Top New Talent’ awards seek to showcase both the huge opportunities in the £200bn+ food industry and the diversity of young talent making waves within its three million-strong workforce. Additionally, the awards are also being used to encourage more young people to get involved in the wide variety of roles which are available to them in the sector. From a record number of entries, the 32 individuals chosen for the ‘Top New Talent’ list included buyers, entrepreneurs, product developers and marketers from the length and breadth of the industry, met for the glitzy reception in front of a select group of CEOs and managing directors from leading grocery retail players and sponsors The Advocate Group and InventaBrand. UMI Foods Co-Founder and Director Plunkett Curry said: “As we continue to move forward as a business, the role which Victoria plays in development will continue to be of increasing importance. First published in 1862, The Grocer is the UK’s most influential grocery/food magazine devoted to the coverage of grocery and food retail across the entire FMCG sector. Further details of the 2017 ‘Top New Talent’ reception can be found here.